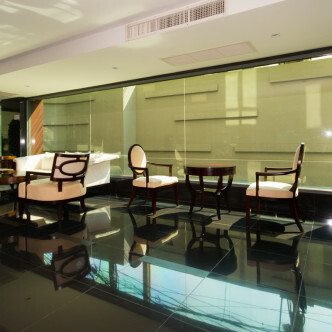 Get into the vogue and embrace the best that Bangkok living has to offer by making this luxurious low rise your new home. 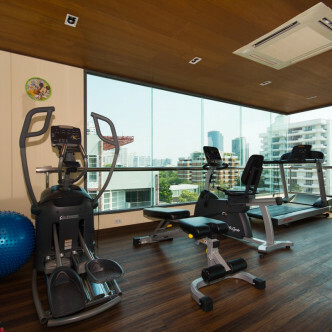 Vogue Sukhumvit 31 was completed in 2013 and features 74 spacious and very chic units set on eight floors. 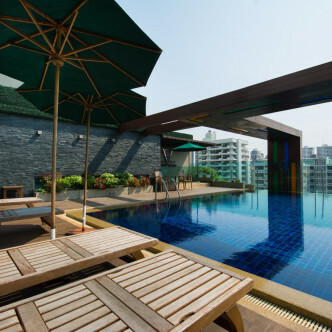 One of the most luxurious facilities that residents are sure to love making use of is the outdoor swimming pool. 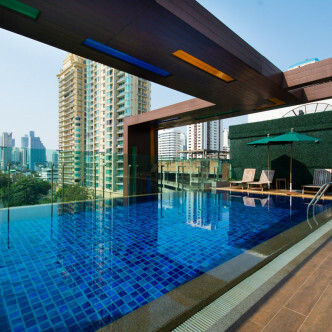 It boasts an infinity edge that presents impressive city views and is edged by a large decking area set with sun loungers. 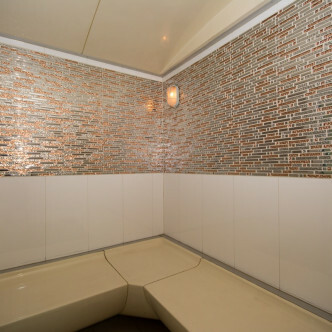 Residents are also offered full use of the onsite sauna and fitness centre. Sukhumvit soi 31 is the place to be for nightlife lovers as this location puts a whole host of cool, bars, restaurants and clubs within easy walking distance. 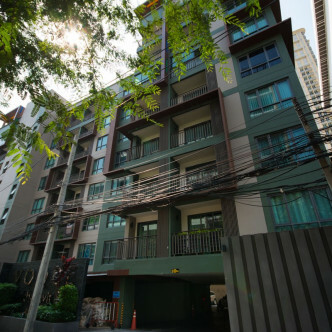 Despite this, the neighbourhood has a family friendly feel and there are lots of good schools nearby as well as Asok BTS station and Sukhumvit MRT station.